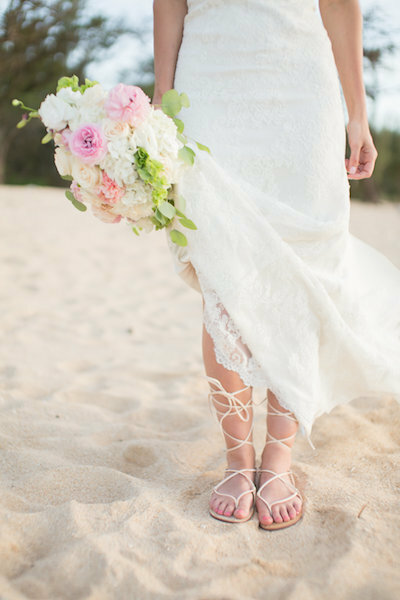 We loved every aspect of this Oahu Beach Wedding. Starting with our bride’s entrance with her mother, the expressions on their faces show pure joy! Just as it should be on a wedding day 🙂 . And this truly was a joyous occasion! We absolutely adore the way Jayne and Jackson interact with one another. It’s easy to see their relationship comes naturally to them, we have every confidence they will have a long and happy life together! Not only do these two look at each other with complete and unconditional love, but they also look incredible with one another! Jayne is a truly beautiful woman, and she was an absolutely stunning bride in the most gorgeous wedding dress. 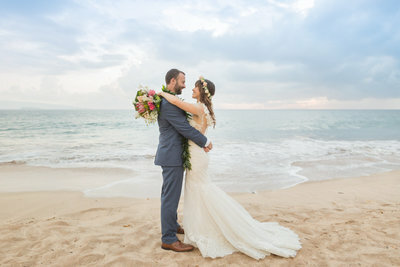 We’re in love with the boho vibe of her wedding styling, it could not have been more perfect for an Oahu Beach Wedding. Her groom looked sleek and put together in a tan linen suit. Their wedding attire complimented each other so well! I mean, just look at them. We’re obsessed! 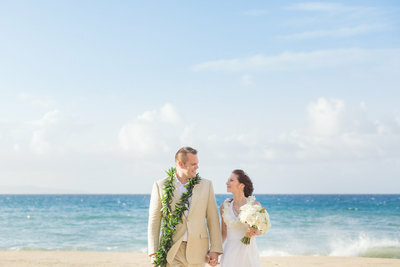 Thank you, Jayne and Jackson, for letting Simple Oahu Wedding celebrate with you on your very special day. 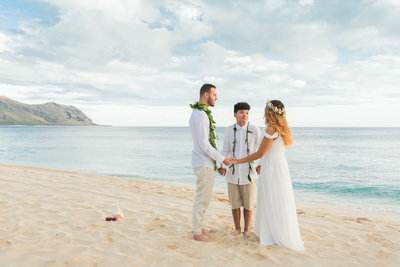 Congratulations and Warm Aloha!